Photograph: Christine Cikowski Honey Butter Fried Chicken teamed up with Piece Brewery and Pizzeria to create a mighty mash-up: honey butter fried chicken pizza. 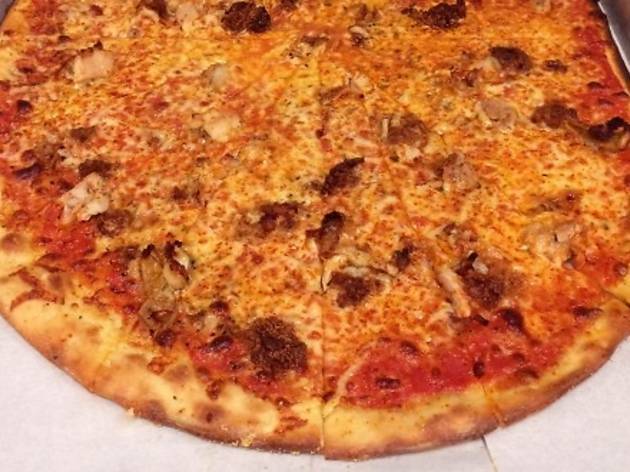 Forget the Olympics or the Super Bowl—February's best team effort is clearly going to be Honey Butter Fried Chicken and Piece's honey butter fried chicken pizza. 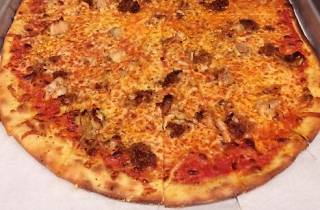 During February, try the red pizza with mozzarella, smoked paprika and fried chicken while dining in at Piece (1927 W North Ave). It's available in small, medium and large sizes, and prices range from $15.49–$21.49. One dollar from the sale of each pizza will be donated to Pilot Light, a nonprofit organization that encourages children to make healthy food choices.